This one should easily shatter the record books. 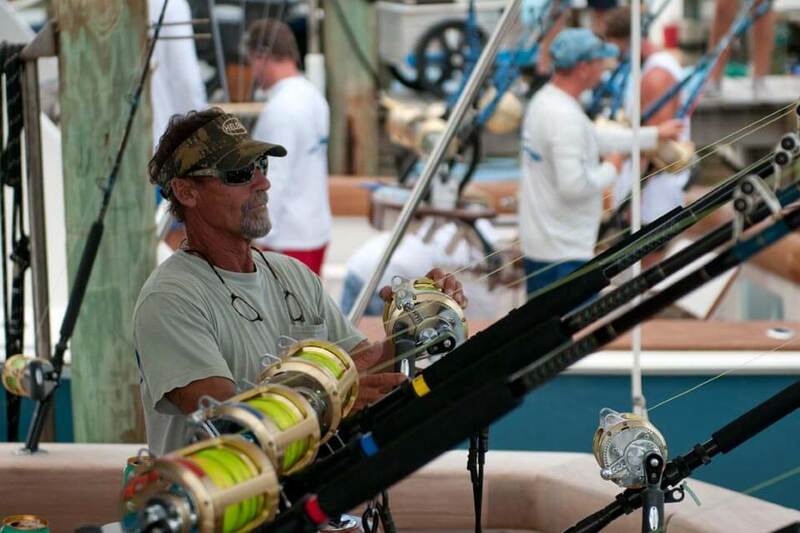 With less than 40 days remaining until the kick-off of the 15th annual Emerald Coast Blue Marlin Classic, boat registrations for this world-class fishing event have already surpassed previous advance rates by over 25 percent. The final field could top the 100-team mark and if that does happen, a new $2 million dollar-plus benchmark would be established. The ECBC is hosted by the Sandestin Golf and Beach Resort and presented by Wind Creek Casino & Hotel-Atmore, AL. The 2017 ECBC will usher in a renewed commitment to marine conservation. In the Gulf, the ECBC has historically held the highest minimum length for weighed blue marlin at 103 inches (the Federal minimum is 99 inches). This year, blue marlin must be at least 106 inches long to qualify in the weight division. That minimum is measured from the tip of the fish’s lower jaw to the fork of the tail. This increase in length will ensure the release of marginal marlin and result in only true trophies coming to the scales at Baytowne Marina. 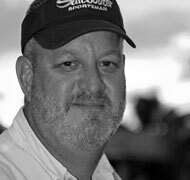 “As one of the top big-game fishing tournaments in the world, we felt raising the minimum length was the right thing to do,” Alfonso says. “It’s the perfect opportunity to support conservation and ensure these magnificent fish are here for future generations. By raising the length, fewer fish will be sacrificed and those that are boated will truly reflect the caliber and skills of our contestants.” A blue marlin measuring 106 inches will weigh 400 pounds, on average. Last year’s tournament winner was 127.5 inches and weighed 838.2 pounds. In addition to the blue marlin weight division, smaller blues, white marlin, sailfish and spearfish that are successfully released earn points in the competitive release division. Yellowfin, bigeye and blackfin tuna, wahoo and dolphin are scored one point per pound. The ECBC attracts multi-million dollar sport-fishing boats from across the Gulf of Mexico as well as the southeastern United States. Fishing begins after Thursday’s noon blast-off from the Destin Pass and concludes Saturday afternoon. Eligible fish are weighed Friday and Saturday evenings. Viewing is free and open to the public. Even though the night-time weigh-ins are spectacular, the festivities begin long before the boats leave the dock. 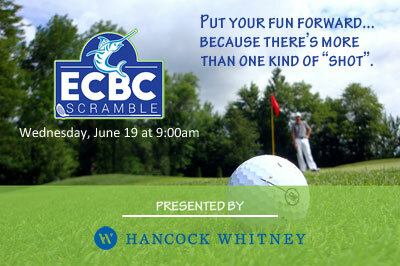 Hancock Bank and Whitney Bank are partnering with the ECBC to present the inaugural ECBC Golf Scramble. The scramble is open to participants and sponsors. Tee-time is 9 a.m. at the Raven Golf Club on Tuesday, June 20. A Taste of Wind Creek is returning this year with Chef Peter D’Andrea giving a live demonstration at Baytowne Marina (and yes, you get to eat what he prepares!). The demonstration is open to all and takes place at noon on Friday, June 23 at Baytowne Marina. The ECBC is also hosting a kid’s fishing tournament on Friday morning, June 23, at Baytowne Marina. The format is catch and release; volunteers will weigh entries on digital scales before turning the fish loose. Details about all these events, and online registration forms can be found at www.fishecbc.com. Tournament host, Sandestin Golf and Beach Resort and Presenting Sponsor Wind Creek Casino & Hotel-Atmore are joined again this year by Tourism Partner Visit South Walton, Tournament Partner Mojo Sportswear and Emerald Sponsors Coca Cola, Galati Yacht Sales, Gulf Coast Yacht Group, Hatteras Yachts, Hook & Tackle, Monster Energy, Southern Line, The Grand Marlin and Viking Yachts. Larry Rackley is this year’s official tournament artist. Sponsor display booths will be located at Baytowne Marina. The 2017 Emerald Coast Blue Marlin Classic runs June 21-25 at Sandestin Golf and Beach Resort. For registration, dockage, rules and schedule of events, visit www.fishecbc.com. Book now to get the best location and rates for the event weekend. Call 800.320.8115 or book online at Sandestin.com. Use GROUP Code FISH17. Sandestin Golf and Beach Resort is a major destination for all seasons and all ages, and was named the #1 Resort on Florida’s Emerald Coast. The resort invites guests to a world of 2,400 acres and 30 charming neighborhoods featuring 1,300 vacation rentals, condominiums, villas, town homes and the best in hotel accommodations. As a member of Visit South Walton and Visit Florida, the resort features more than seven miles of beaches and pristine bay front, four championship golf courses, 15 world-class tennis courts, 19 swimming pools, a 113-slip marina, a fitness center and spa, meeting space and The Village of Baytowne Wharf, a charming pedestrian village with events, shopping, dining and nightlife. People are invited to download Sandestin’s APP for iPhone and Android devices, or become a Facebook Fan or Twitter follower for the latest events and news.